“It’s in your nature to destroy yourselves,” replies the former California governor in his best-known role. Of course, we were talking about the impending nuclear war in that film series. For us, I feel like the fears of nuclear war have greatly diminished, overtaken by the encroaching tyranny that seeks to not offending anyone. Political correctness is literally making us an insane people. 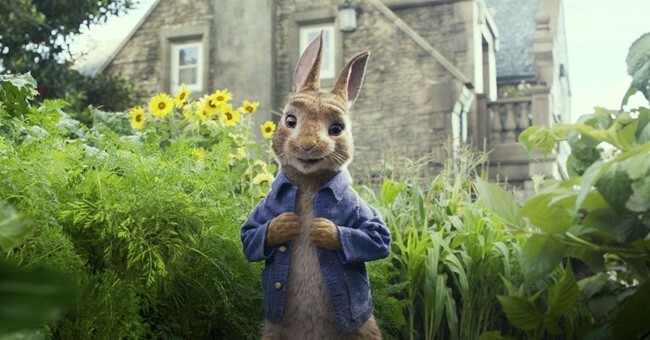 In the new film, Peter Rabbit, the little creatures reportedly fling blueberries at Mr. McGregor, the guy who ate Peter’s dad, because he’s allergic and needs to use an EpiPen. Sony Pictures says Sunday in a joint statement with the filmmakers that "food allergies are a serious issue" and the film "should not have made light" of a character being allergic to blackberries "even in a cartoonish, slapstick way." In Peter Rabbit, which was released this weekend, the character of Mr. McGregor is allergic to blackberries. The rabbits fling the fruit at him in a scene and he is forced to use an EpiPen. The charity group Kids With Food Allergies posted a warning about the scene on its Facebook page Friday prompting some on Twitter to start using the hashtag #boycottpeterrabbit. The group said that allergy jokes are harmful to their community and that making light of the condition "encourages the public not to take the risk of allergic reactions seriously. Seriously, Peter Rabbit offended people? People were triggered that an anthropomorphic rabbit and his legions of friends, who also have human characteristics, flung fruit at Mr. McGregor. I fail to see how this move was set to deliver a deathblow to the food allergy awareness campaign. It’s not real, folks. If we’re going to issue apologies for every sect that’s offended by everything under the sun, we might as well just watch paint dry. Peter Rabbit is problematic; it’s come to this folks. What a nightmare.